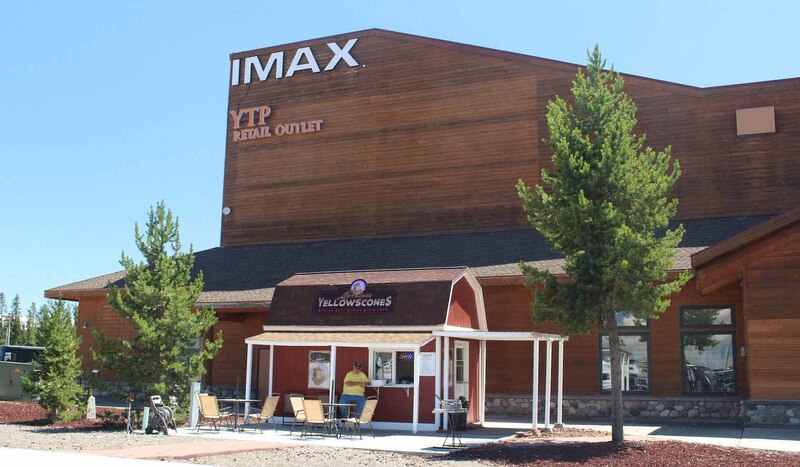 TheYellowstone IMAX Theatre boasts a 6-story high screen and 12 thousand watts of digital quality surround sound. The theatre is conveniently located beside the West Entrance of Yellowstone National Park and the Chamber of Commerce Visitor Center on 101 South Canyon. The theatre is open year round. After viewing the feature, Yellowstone, be sure to view the actual movie props in our lobby as well as our educational display: The Yellowstone Hot Spot. Go through our gift shop for those special souvenirs. After purchasing a unique gift head to the concessions for a snack, ice cream, nuts or a cool drink.